A new lindy hop, swing and jive social dance event based at Woking Con Club, Woking, Surrey. We aim to provide a regular opportunity for lindy hoppers, swing dancers and jivers to strut their stuff in a comfortable, sociable and informal environment. If you haven’t got a smile on your face when you arrive there’s a strong chance you’ll have one when you leave. The hardwood dance floor provides scope-a-plenty for you to rip your lindy hop, balboa, swing and jive. The next Joint’s a Hoppin’ is on Friday 19th of April – and what a night this will be! Yes, we have with us again the very special Man Overboard Quartet. No fear of drowning though, nor even need for rescue, unless you have a dread of enjoying yourself too much. This whether you’re dancing, or just listening to this gathering of superb musicians. For our event they will be splicing up a dance set leaving you in no doubt that they know how to swing it up hot or cool it down right cosy. The quartet features front men Ewan Bleach on reeds and special guest Peter Rudeforth (Chris Barber Band) on cornet with a hot rhythm section comprising Jean-Marie Fagon on guitar and Tom Wheatley on double bass. Check out the quintet on their web site [ http://manoverboardswing.co.uk/our_music/ ]. DJ Flat Foot Al will be piping the musical changes onboard in between sets, so how can you do other than have one ripping dance & social night, whether you’re Hopping, Bal’ing, Swinging, Shagging or Jiving any old way. So, truck on down and join us for your finely fettled fix of swing and jive. Entry: £12:00 on the door. 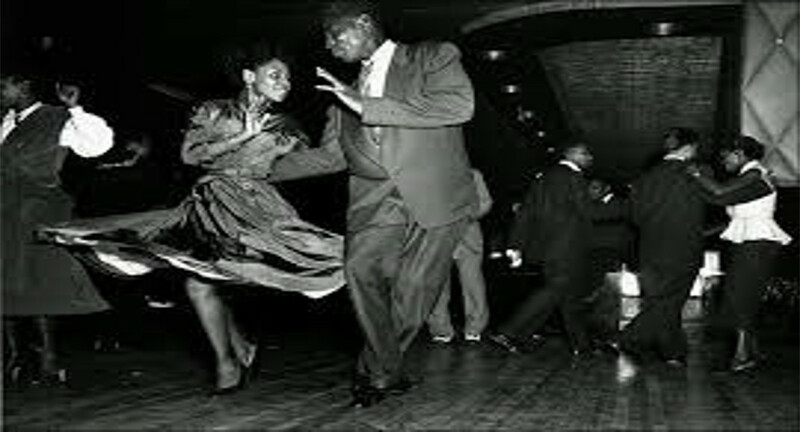 We aim to deliver the best of vibes, supported by recorded music to suit vintage dance styles – lindy hop, balboa, shag and jive. If we haven’t got it, we’ll try to get it! Give us the feedback. As things develop live bands will be slated . Spacious surrounds and seating area afford the chance to relax and chat between times. Imbibe. There is a well stocked bar to hand, offering a wide range of soft and alcoholic drinks, including real ale, at club prices. Make sure you pen in the last Friday of the month, ‘cus that’s when it’s at! Open 20:00 until 23:30h. Check out our Facebook page for any updates – there may be variations through the year; https://www.facebook.com/groups/jointsahoppin/ .